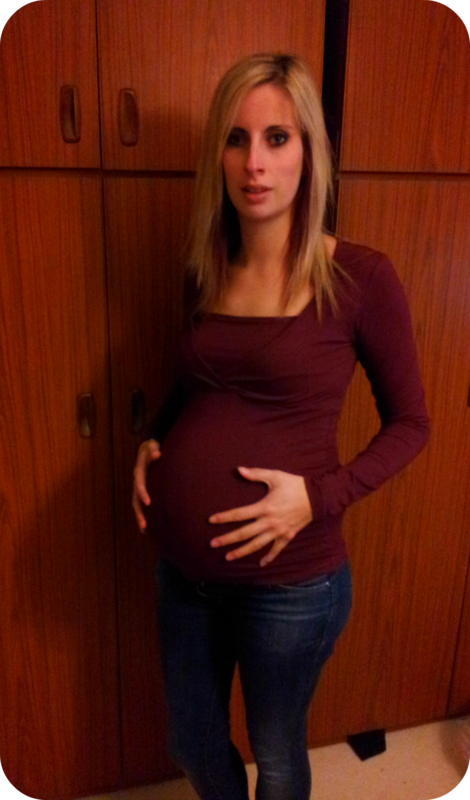 The first trimester was about loose tops and hiding the slowly expanding tummy. 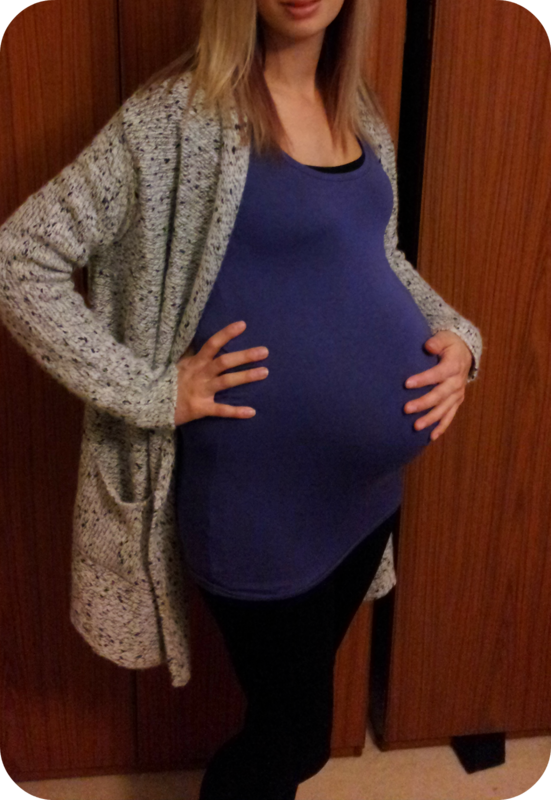 The second Trimester was about adapting normal clothes to fit your new figure, but the third trimester is well and truly about maternity wear and comfort for me. I am running out of things to stretch and other than my trusty leggings and cardigans I am mostly in maternity to accomodate my growing bump. I thought I would share with you a few of the things I have been wearing. Nothing is more important than comfort at the moment and I am not one to wear tops with leggings so I am loving oversized jumpers that keep me covered up. I team them with leggings and boots and feel snug and warm and still comfortable enough to crawl around on the floor brumming cars with the toddler. 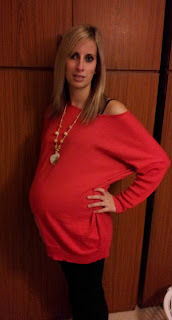 I love this oversized maternity jumper from Mamas and Papas and it brightens up my winter wardrobe. On the rare occasion I leave the house without child, I like to dress up a bit more and I love wearing a plain black vest with my skinny jeans and jazzing it up with some fun jewellery. 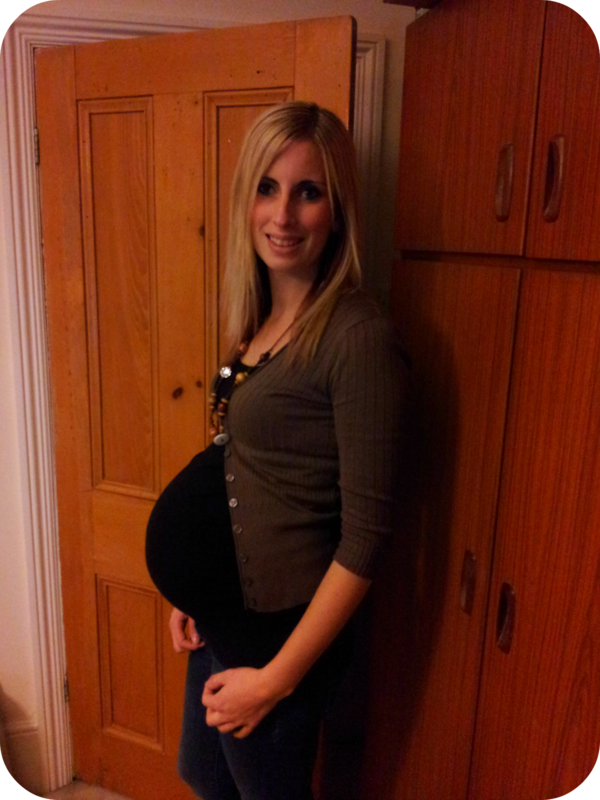 I have a few maternity vests now as they are so much more flattering and comfortable and don't rise up as I move around. I think I may save them for after baby too as they have plenty of growing room for when I eat a huge sunday roast! I put off getting a winter coat for as long as I could but there is no escaping the fact it is getting pretty damn cold out there! 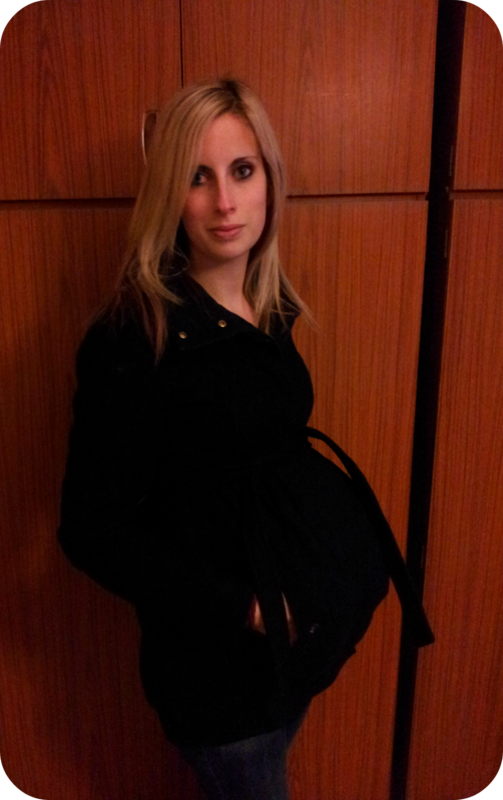 I am so happy with my lovely black maternity coat as it is flattering, comfortable and most importantly warm and will last until the little guy arrives. I usually avoid black coats and have quite a selection of colourful ones but as I cannot justify more than one maternity coat, black is the best option as it really does match everything! There are a few of my maternity outfits that I am wearing in the third trimester. I am trying my hardest not to buy anything else now as there is only 10 weeks until baby arrives but there are some lovely bits out there! Disclaimer: Some of the clothes mentioned were sent to me free of charge, but some were also paid for. All views and opinions are my own and I only endorse products that I am happy with and honestly wear. on your feeds and even I achievement you access constantly fast.